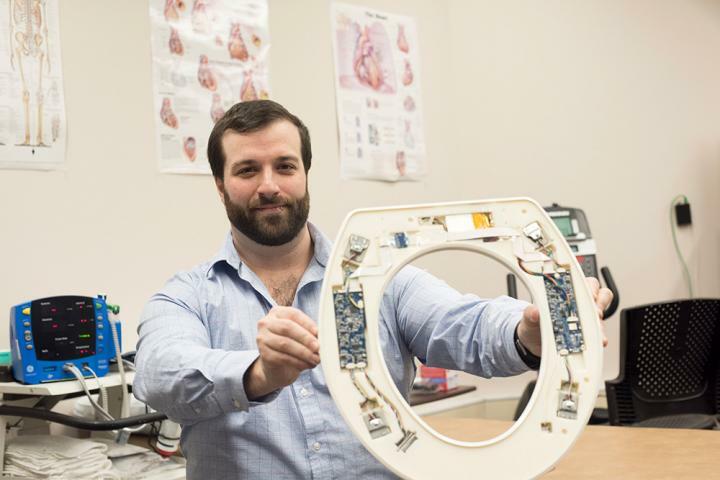 US researchers have devised a toilet seat that can monitor for signs of congestive heart failure at home, preventing unnecessary hospital readmissions. The device was developed by Heart Health Intelligence, a spinout from the Rochester Institute of Technology (RIT). It is equipped to measure the electrical and mechanical activity of the heart, monitoring heart rate, blood pressure and blood oxygenation levels, as well as the patient’s weight and stroke volume, which is the amount of blood pumped out of the heart at every beat. Algorithms then analyse this data. With further development, the toilet seat device will be able to alert healthcare professionals to a patient’s deteriorating condition, picking up symptoms before a patient is even aware there is a problem. According to the developers, the need for such a system is driven by the strikingly high number of hospital readmissions in the wake of congestive failure, something the US health system penalises hospitals for financially. “Typically, within 30 days of hospital discharge, 25 per cent of patients with congestive heart failure are readmitted,” said Nicholas Conn, a postdoctoral fellow at RIT and founder and CEO of Heart Health Intelligence. According to Conn, the penalty alone for readmitting 150 patients is approximately $500,000 annually, going by national averages across the US. Conversely, the total cost of providing 150 patients with their own monitored toilet seat is just $200,000. Conn claims hospitals could essentially double their investment within one year by adopting the system. Rather than costly hospital readmissions, timely interventions could take the shape of alternative drug treatments or brief office visits. Conn and his team are now working on approving the product with the FDA and seeking additional funding to bring the device to market.